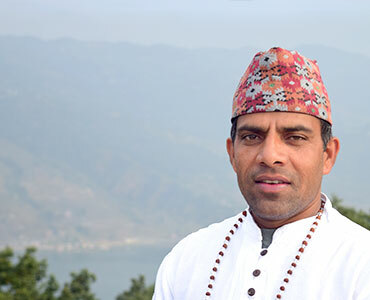 Number one Yoga place in Nepal for Yoga Alliance certified yoga teacher training course! 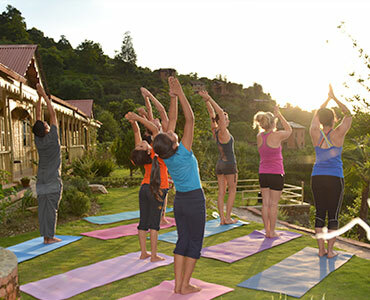 Are you looking for the best Yoga retreat center in Nepal with unique experience? Namaste and welcome to Nepal Yoga Retreat Centre, a brand new Yoga, Meditation and Ayurvedic retreat center run by Award winning Yoga teachers, inside the Kathmandu valley. We are also a certified Yoga teachers tranning center with Yoga Alliance Australia and America. Nepal Yoga retreat is a sanctuary tucked in the green hills of the Kathmandu valley, surrounded by temples. A center where you will find, simple and wholesome organic food, Sanatam yoga, mantra chanting, yoga philosophy explained and guided meditation. It is a place that welcomes anyone seeking peace, quiet, solitude, healthy food, yoga training and instruction, piece of mind and inward perspective. It is not a social vacation hotspot or an entertainment center. Rather a place to calm the senses and to find ones own center. We try our best to suit everyone’s needs and be available and flexible in accommodating you, but we do ask one thing from our guest, come with an open mind and release all expectations. This is the one place in the world where you do not need to set standards and criteria, just be free, be true and, be yourself. 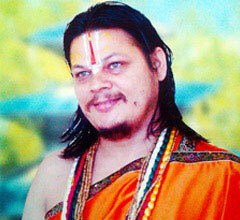 Swami Kamalnayanacharya Shree Ji Maharaj (born May 24, 1966) is a Hindu spiritual leader with his origin in Nepal. Swami Kamalnayanacharya, or "Swami" as his followers address him as, is an authority in promoting and conserving Vedic and Puranic (pertaining to the Hindu scriptures like Vedas and Puranas) sites of pilgrimage and retreats in the Hindu subcontinent of India and Nepal. He inspires a wide range of spiritual aspirants who revere Sri Muktinath from all over the world. He is widely appreciated by people of other faiths for his humanitarian work.